I love cooking for my family but with 2 children under 4, you will have to be organized. And to be able to serve a homemade meal to them, I cook a recipe double or triple and freeze it. We all try to be on top of our daily routine and chores but the truth is, it is hard. I have been back from vacations for 2 weeks and I already need some more. One week break does not cut it with the energy and effort we put into running our daily life smoothly. I am sure, you all can relate, am I right? So here is my ultimate lasagna recipe for you! 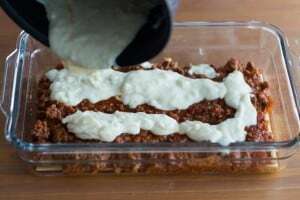 The creaminess of the bechamel adds the little comfort that you look for in a lasagna. 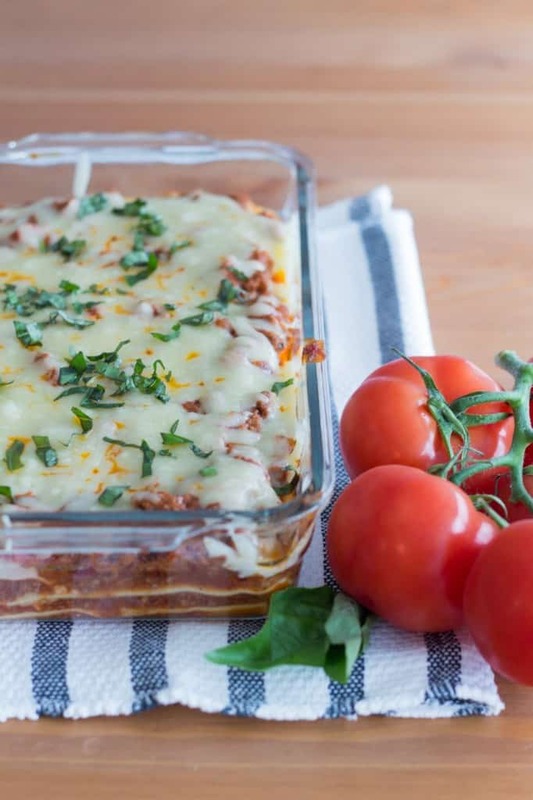 The sauce cooks the pasta sheets and shares the flavor of the tomato and the fresh basil. It is a real success each time I make it! This recipe is a keeper I promise! 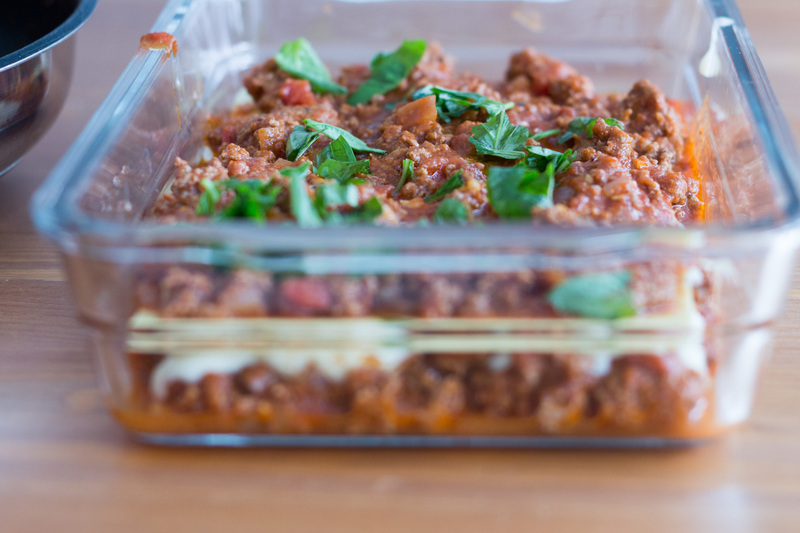 This lasagna is a perfect recipe to freeze to stock up your freezer. 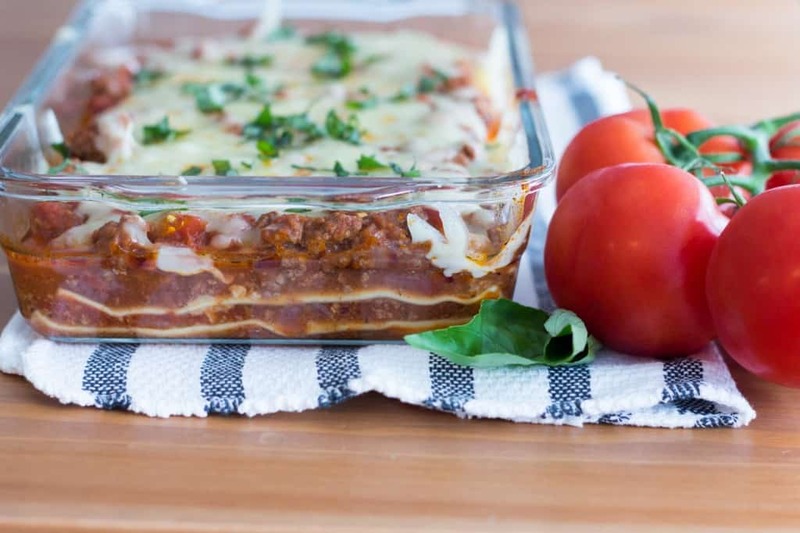 Put the dish directly from the freezer to the oven and just add another 15-20 minutes to the cooking time. In a pan at medium heat, put some olive oil. Add the garlic and onion, cook until starting to golden. Add the ground beef and stir so the meat is starting to cook evenly. Reduce to heat and pour the tomato sauce, add the salt. Let it simmer for 5-10 minutes and set aside. Make a “roux”: Melt the butter with the flour. 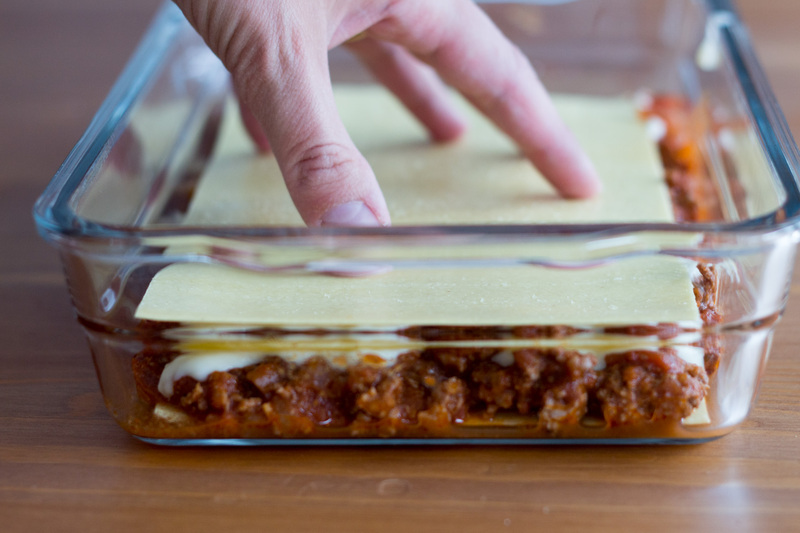 Tip: I start by spreading a little bit of tomato sauce at the bottom so the first lasagna sheet does not stick to the dish. Then, put the lasagna sheet, put some meat-tomato sauce, put another lasagna sheet, more meat-tomato sauce. Pour all your bechamel evenly. Cover with another lasagna sheet, the rest of your sauce, the basil, minced, and finally, the cheese. No way, It is such a perfect dish in winter! It is our comfort food!